An efficient and reliable reticulation system is fundamental to the long term maintenance of your lawns and gardens, and at Peel Scape Solutions our experts will tailor a design to suit the specific requirements of your property. We can design and install reticulation systems to residential and commercial properties, from courtyards to ovals and parkland. Our team will design a customised system for you, choosing the most suitable sprinklers and sprays or drip systems, ensuring good watering efficiency with adequate coverage and minimal waste. 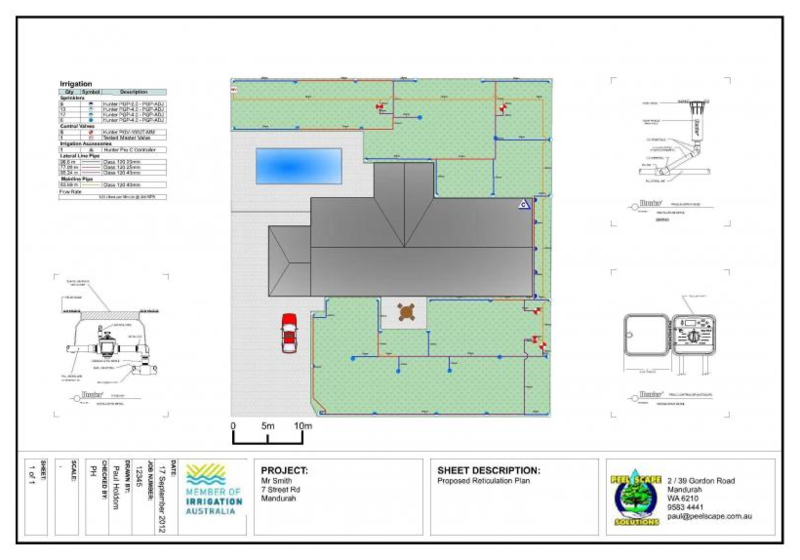 Your reticulation system will incorporate the use of high quality, durable products, ensuring cost-effective, reliable operation and peak performance for years to come. Appointments can be made by contacting our friendly support staff to arrange a day and time that is convenient for you. 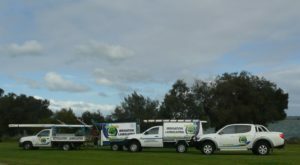 Peel Scape Solutions operates a professional and dependable reticulation service and maintenance division, with a dedicated Operations Manager overseeing our team of experienced Service Technicians. Our Technicians are equipped with fully stocked vehicles to provide immediate repairs and audits on-site to both domestic and commercial reticulation systems. Our modern solenoid detecting equipment allows our Technicians to work quickly and efficiently in the field, minimising disruption to your garden and saving you money. We pride ourselves on using only high quality products that offer our customers proven reliability, and a superior performance for years to come.